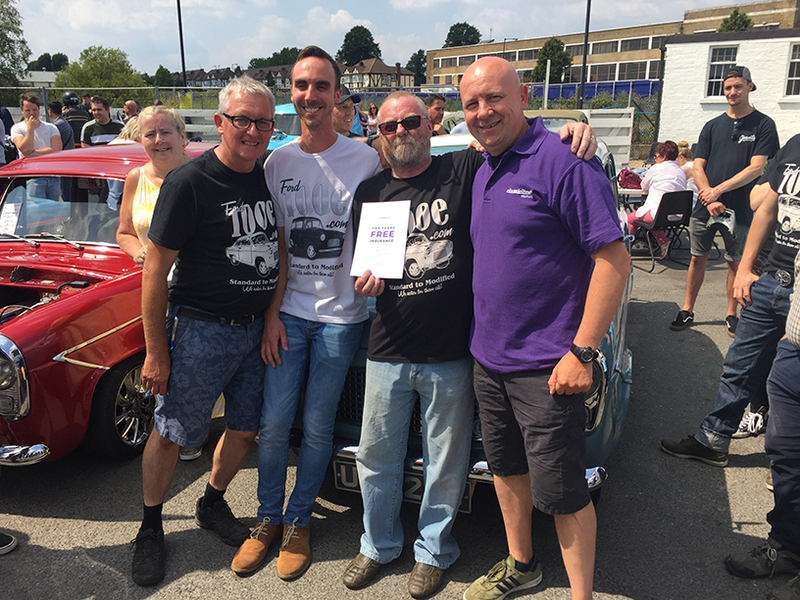 Back in July, we were overwhelmed to have been part of a surprise presentation by the SX Dub Club to one of their much-loved members. Fellow club members had secretly fundraised to buy ‘Grandad’ the VW Camper of his dreams, and with insurance provided by yours truly, the T25 Devon Camper was proudly handed over to it’s new owner at a club night. 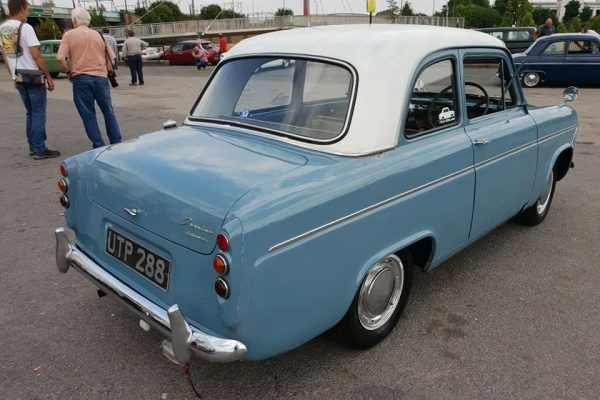 Roll back a few more months to May 2018 and we were made aware of a plan being hatched by another one of our partner clubs, Ford100e.com. Some of the guys decided that their club leader, Graham Carr, needed to be able to join in the 100e fun and have a car of his own. This was their way of saying thank you for Graham for all the time and effort he had put into building up the club. 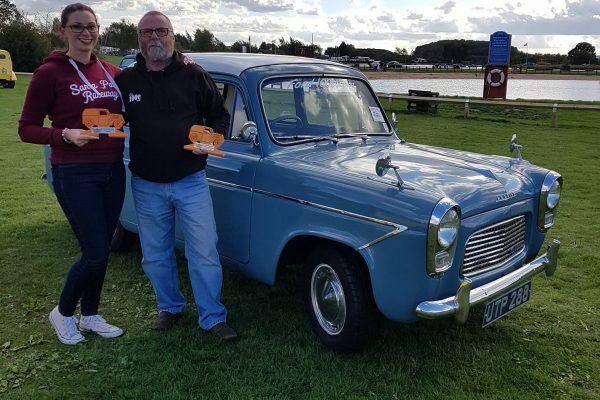 After seeing Graham reminisce through photos of his past 100e’s, Ford100e.com club members, Phillip Huddle and Paul Cooper, came up with the idea to form a secret fundraising group, code named ‘Graham Carr 100e’ – or ‘GCe’ for short. 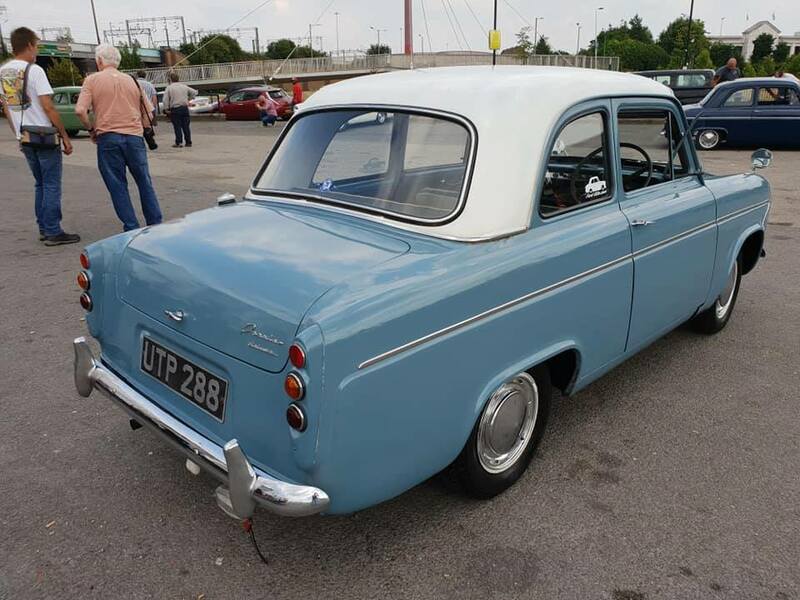 The idea was to raise funds to buy a half decent 100e and with fellow members help, get it back on the road to give to Graham. …we quickly realized we could not get a decent car as a starting point for that money and the grim realization set in that we might have bitten off more than we could chew. 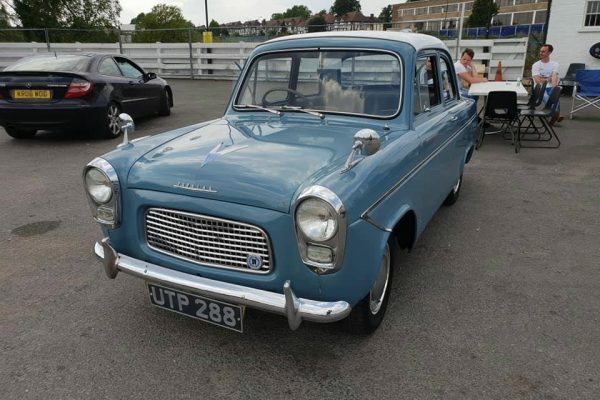 The guys did a bit of haggling and it was theirs for £875. 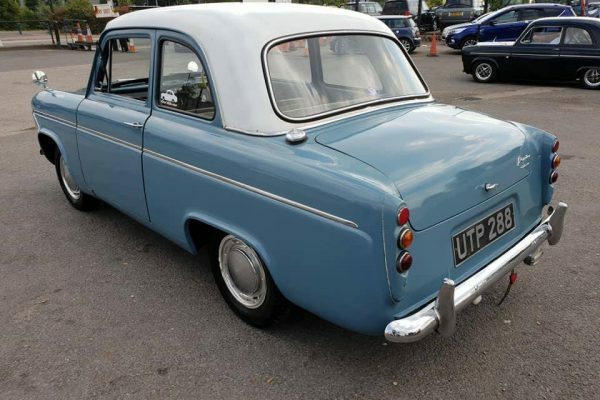 They left a £100 deposit and planned to return the following weekend to collect the E. Ben posted in the secret group telling about the bargain and the donations came in not only bumping up the original £400 in the kitty but exceeding the cost of the car. Over the next few months, work parties were arranged, and a date was set for the handover. The first people to offer help were Peter Dunstan and John Vincent, who Phill had never met before, and hadn’t long been a member of the main group. Peter changed the engine core plugs and did some tinkering while John worked on the braking system. Phill said he asked John if he knew Graham, and he replied, he’d never met or spoken to him, but it seemed like a good cause and he wanted to get involved. Most of the mechanical works were carried out based at Phills, with John helping out on the original sidevalve engine. The car was then transported to Horsham to Paul and Ben’s for the bodywork repairs. 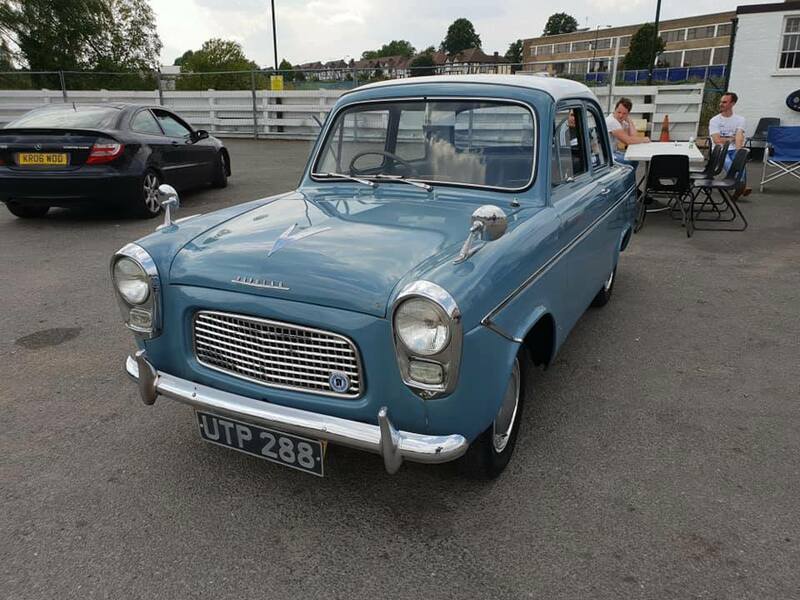 Once there, several other members joined them for work parties over the next few weeks – Phill said they ended up having their own 100e meets in Horsham! Most of the chrome work on the car was donated by Wayne Parkhouse and Mark Perry, which completely transformed the look of it. 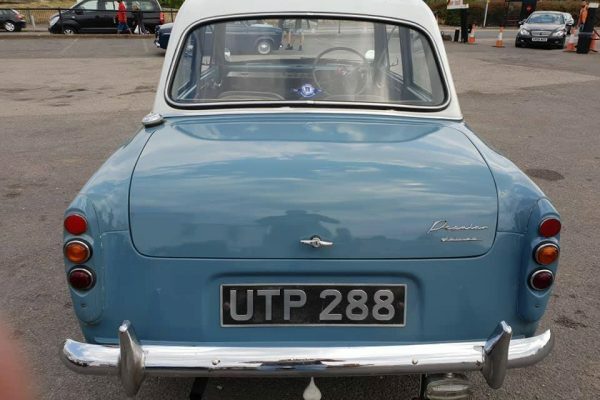 In fact, other than a carpet set and some service parts, ALL the other parts were kindly donated by members of the club. The parts they did have to buy, members of the group kept topping up the kitty to ensure they could buy all we needed. On the day, Phill created a fake post saying his car was broken so he would be going in a “friends” car. Just before they pulled into the Ace Café, Phill and his friend switched seats and his friend drove the car in to fool Graham into thinking it was his. 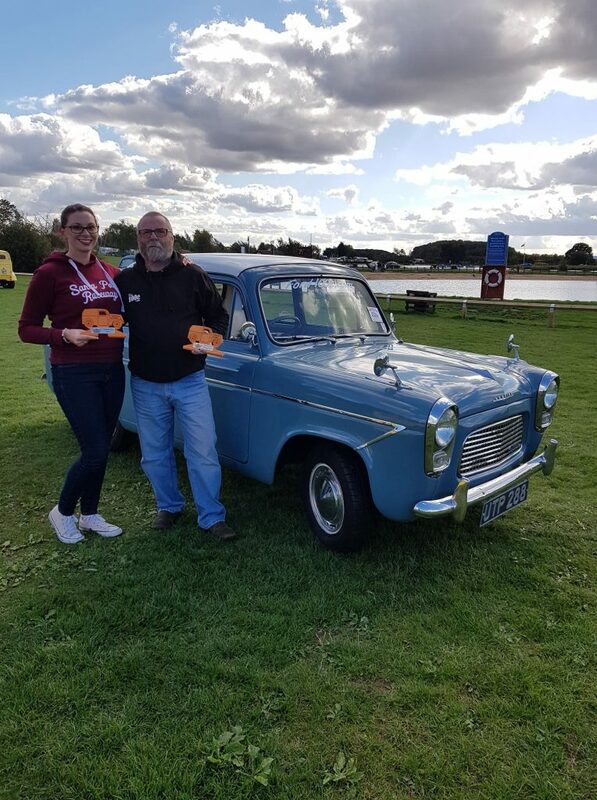 So, in front of club members, friends and family, the secret plan was revealed to Graham and he was handed over the keys to his new 100e. With Phill, Paul and Ben waiting to see Graham’s reaction, they were overwhelmed that he was happy with his new car. 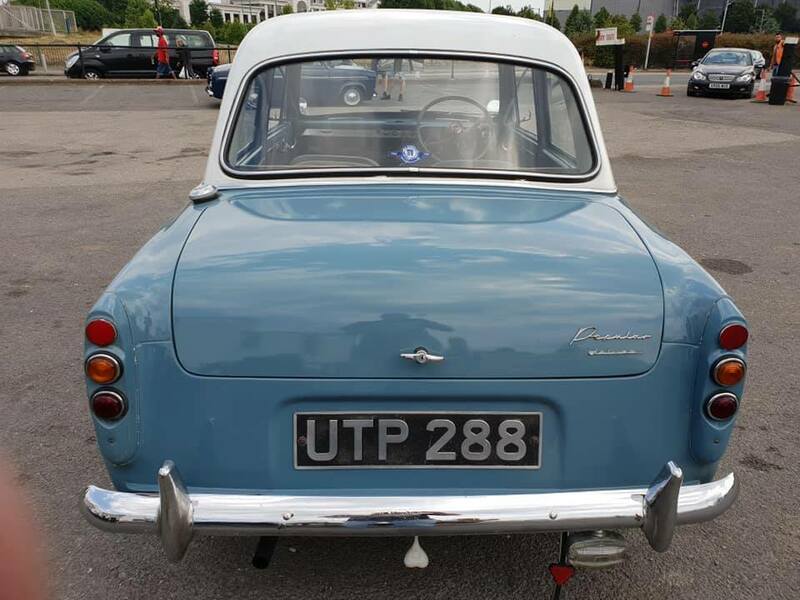 Our Darren went along to the event to hand Graham his insurance documents, so he could take the aptly named ‘GCe’ off to it’s new home. 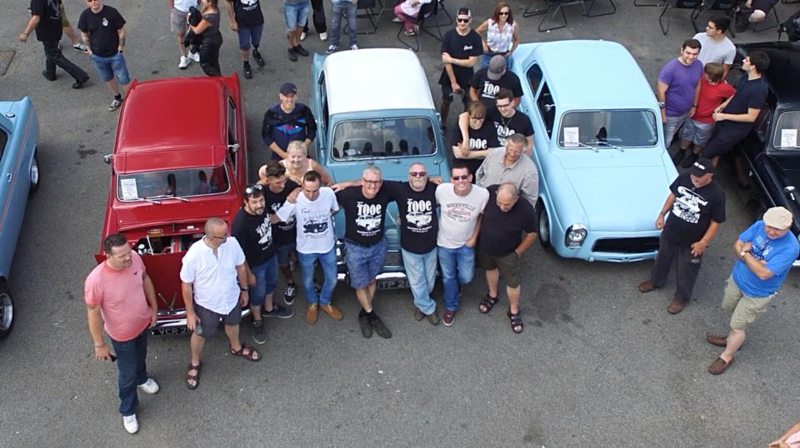 We are always amazed to hear about these acts of kindness and generosity within car clubs. These are the things that go on that people don’t usually see and we are proud to have played a small part in proceedings. 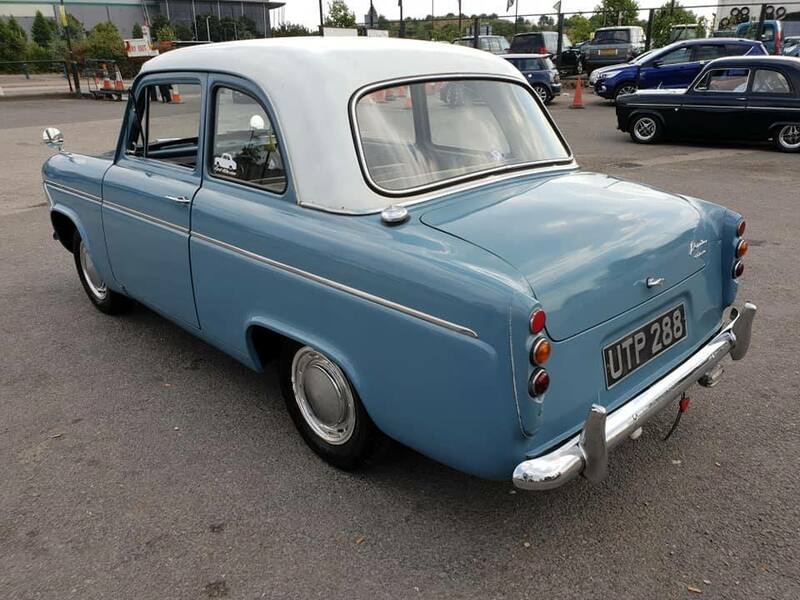 Graham, from Darren and all the ClassicLine team, we wish you many happy years of motoring and 100e fun!